Cruise through the world famous and dramatic Rhine Gorge before arriving in the renowned wine town of Rüdesheim. Spend the afternoon wandering the Christmas markets of this charming spot. Enjoy a guided tour of the cosmopolitan city of Frankfurt with its contrast between the modern skyline and the medieval old town, before exploring one of the oldest Christmas markets in Europe. Go on to explore Koblenz, dramatically situated at the confluence of the Rhine & Moselle Rivers, on a guided tour. 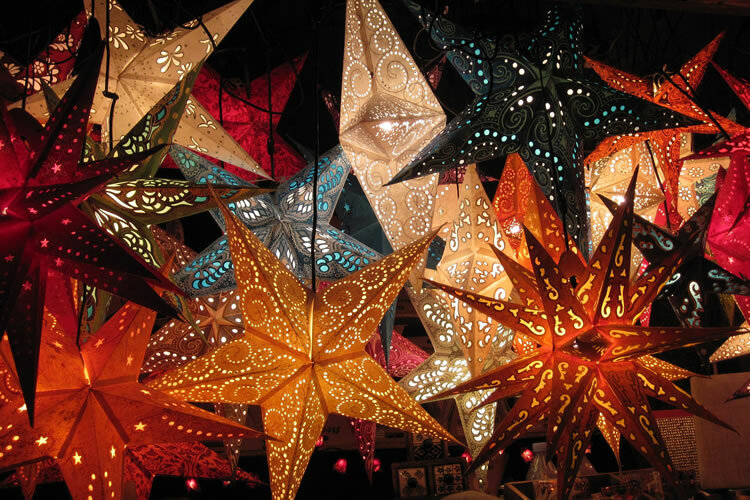 Arriving back in Cologne, discover one (or all) of its seven Christmas markets. Take the Eurostar to Brussels from London St Pancras International. On arrival, transfer by coach to your five-star cruise ship moored in historic Cologne, whose skyline is dominated by the spires of its magnificent cathedral. The dedicated English-speaking crew welcomes you on board and helps you to your cabin. After settling into your spacious and tastefully furnished accommodation, there’s time to familiarise yourself with this splendid ship. To really get in the Christmas mood, nothing beats waking up on board to find you’re already cruising through an entrancing winter wonderland. 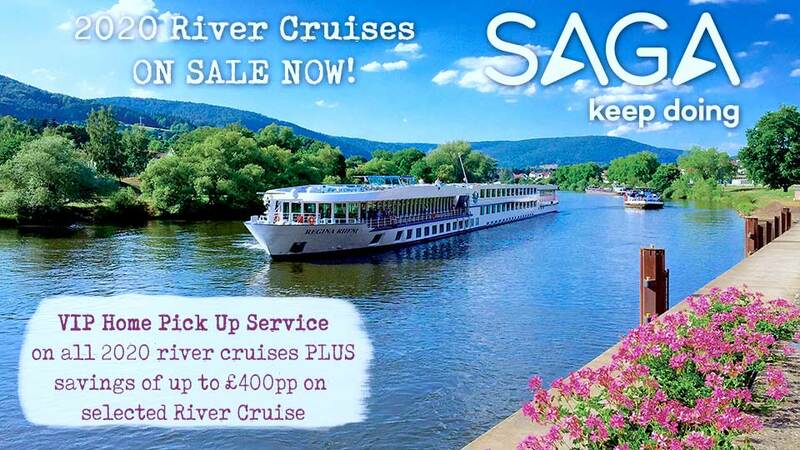 Enjoy a leisurely breakfast this morning and relax on board while a kaleidoscope of riverside views drifts by in all their seasonal glory. Wrap up warm and take to the deck for an invigorating breath of frosty air as you pass through the outstandingly beautiful Rhine Gorge, where the river flows a little faster, the vineyard-covered valley sides are steeper and ruined castles sit atop rocky crags. Tales of mysterious happenings here have been passed down over the generations, most famously of all the legend of the Lorelei – the maiden said to have enticed sailors onto the rocks with her irresistible songs. The festive period is a magical time to visit this picturesque part of Germany, and no country does it better. The historic Yuletide markets here are the ideal places to soak up the spellbinding atmosphere while seeking out unusual presents for friends and family back home. After lunch on board you arrive in Rüdesheim, whose quirky, crooked houses and tiny streets provide the perfect chocolate-box setting for its Christmas market. As you wander the myriad stalls, glistening in the glow of hundreds of fairy lights, stop perhaps for a slice of gingerbread or a warming Rüdesheim coffee with its fortifying shot of locally distilled Asbach brandy and a dollop of whipped cream. And don’t forget to pay a visit to the Christmas shop: open year-round, it’s a treasure trove of all things seasonal, from tree decorations and music boxes to wooden nutcrackers and handcrafted figurines. As the evening light fades, amble back on board to enjoy a sumptuous dinner in the ship’s excellent restaurant. During breakfast the ship effortlessly glides out of port as we commence a spectacular morning’s cruising. 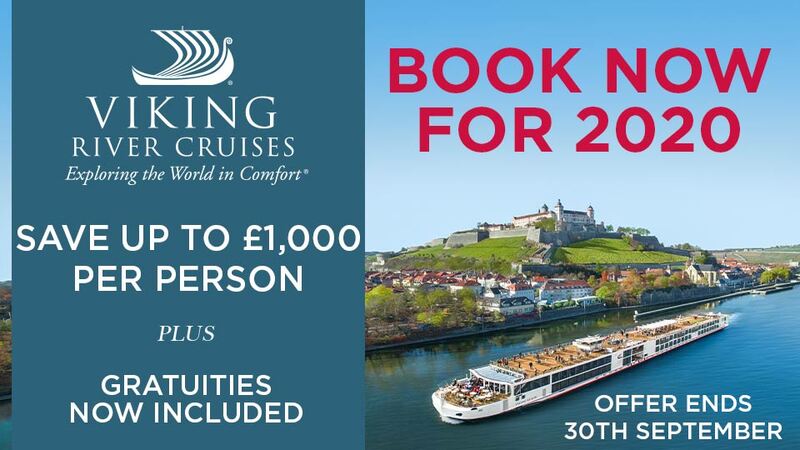 One of the cruise highlights will be your passage through the magnificent Rhine Gorge; here where the swifter current sweeps between the narrowing valley sides that tower above, the river twists and turns towards the famous Loreley Rock, where legend has it, unsuspecting sailors were lured to their deaths by enchanting maidens. As we arrive in the historic city of Koblenz, dramatically located at the confluence of the rivers Rhine and Moselle, take in the views over another delicious lunch in the ship’s restaurant. Koblenz is a romantic’s dream; forest-covered hillsides dominate the skyline, whilst the lower slopes are strewn with the pretty, half-timbered buildings so typical of the Rhineland. Enjoy a guided tour, seeing the principal monuments, discovering ancient squares, admiring beautifully restored historic house frontages and quaint hidden passageways. Located in the atmospheric old town, Koblenz’s Christmas market is one of the largest in the Rhineland. As you browse its enticing stalls, the aroma of hot chestnuts and mouth-watering sausages fills the air; don’t forget to pay a visit to the Christmas bakery, making the famous Stollen – the delicious bread made with candied and dried fruit, nuts and marzipan, traditionally eaten at this time of year. As the fairy lights glow brighter in the cool evening air, it’s time to head back to the inviting warmth of the ship’s lounge for an aperitif before the Captain’s Dinner is served, as you sail on to historic Bonn, arriving later this evening. Rising refreshed, after breakfast there’s the opportunity to learn more about this fascinating city, which served as the capital of the West German state from 1949-1990, until the reunification of Germany which restored Berlin as the country’s capital. Whilst it lost the battle to retain the parliament, Bonn still holds the status of a secondary governmental seat, so many government ministries and public bodies still have their headquarters here. But behind its official facade lies a historic and fascinating city and this morning you will enjoy a guided tour of the main sights around the old town, centred around its two spacious squares. See the city’s most prominent landmark, the soaring spire of the huge Romanesque minster, one of the oldest churches in the country and the attractive pastel pink Rococo old town hall, with its gleaming silver and gold trim, from where an endless list of politicians throughout the decades have appeared on its sweeping staircase. Bonn is also famous for being the birthplace of Ludwig van Beethoven, and the house where he was born is one of the few old buildings in the city not to have been damaged during the war. Together with the house next door, it now houses a museum dedicated to one of the greatest composers of all time. You’ll have some free time to wander the seasonal market, centred around the old town; the old town hall’s windows are transformed into a giant Advent calendar and an imposing Christmas tree takes centre stage. Classical music floats on the air, along with the delicious smells of gingerbread and baked apples – simply magical. No visit would be complete without sampling a glass of warming Glühwein, or mulled wine. This delicious concoction is usually made with red wine heated with citrus zest and spices such as cloves and cinnamon. Sometimes it’s drunk mit Schuss, meaning a shot of rum or brandy has been added for extra punch! Back on board for lunch, make your return to Cologne as the ever-changing river scenery drifts silently by. As the towering spires of Cologne’s cathedral come into view on the wintry skyline, moor in the shadow of this ancient monument once again. Christmas creates a special atmosphere here and you have free time to immerse yourself in the city’s seven Yuletide markets, each with its own unique theme. Every year a huge number of visitors are drawn to the more than 160 tastefully decorated festive stalls of the Cathedral Christmas market, impressively set against the spectacular backdrop of the imposing cathedral, where the largest Christmas tree in the Rhineland, illuminated with 50,000 LED lights, is a magnificent glittering sight to behold. There’s also plenty of live entertainment to enjoy. This morning transfer to Brussels to connect with the Eurostar service to London St Pancras International. For all 2018 departures you can now purchase a drinks package, at a cost of £69 per person.